Guitarist Rob Patterson joins Charlie Sheen and Snoop Dogg for the single that's all about -- you guessed it -- winning! 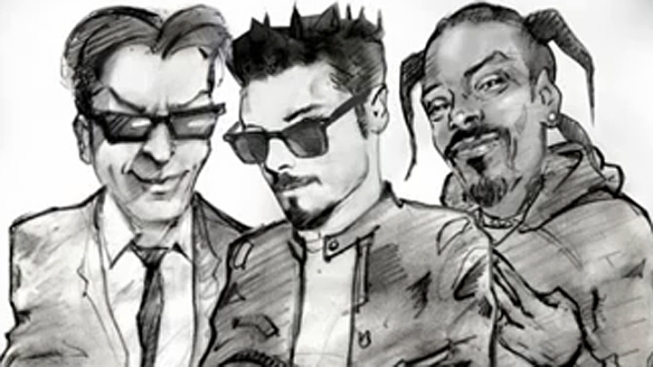 So sings Snoop Dogg in the new collaborative single released by the rapper and Charlie Sheen, following Sheen's “Violent Torpedo of Truth” tour. The track, released at midnight on Wednesday, is an appropriate tribute to Sheen’s whirlwind rise to fame, trademarked catchphrases, booing, and then, an audience base that largely thought Sheen uninteresting. “No, he’s smoking right now,” Snoop Dogg responds. Insert the well-placed tiger growl, some auto-tune, several thousand mentions of winning, and you’ve got your latest meme hit of the summer.